What I am sharing with you today will surely linger in your mouth long after you have finished this recipe. 1. Keep the cedar plank soaked in the water for 2 hours or more. 2. Preheat the grill to medium high. 3. For the marinade, take a shallow dish and mix together the vegetable oil, rice vinegar, sesame oil, soy sauce, green onions, ginger and garlic. 4. Place the salmon on the dish and coat it with the marinade sauce all over. Leave it marinated for at least an hour. 5. 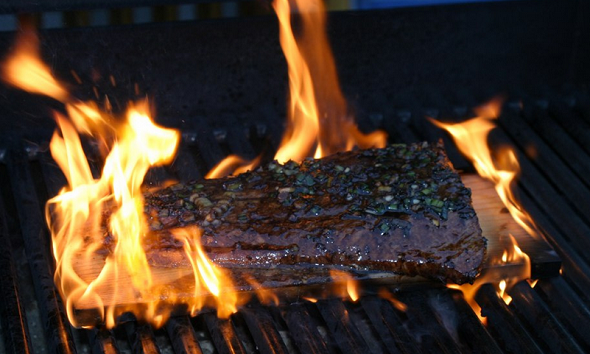 Prepare the cedar plank and place it on the grate of the grill. The plank is ready to use when it begins to smoke. 6. Just keep the salmon fillets on the plank without the marinade and grill it for 20 to 30 minutes. 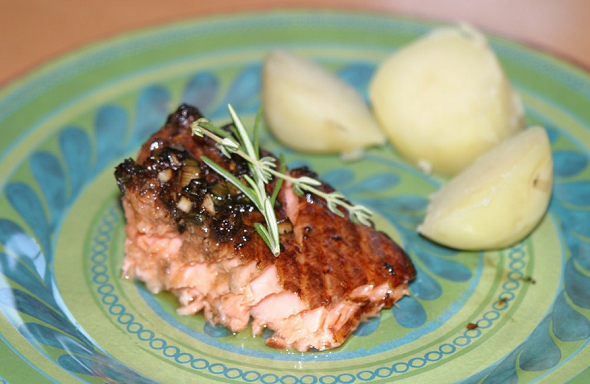 You can make sure that the salmon is ready when you can flake it with the help of a fork. If the plank catches on fire, don't panic, either turn the gas off and wait for the fire to die down, or move the plank off to the side where there is no flame.